I use RetroArch for all of my platform systems. I don't know exactly what causes this issue or when exactly it occurs but usually on at least 1 platform (console system) Launchbox will not start any of it's games BUT they work just fine in Retroarch itself. So for example I installed Commodore 64 and some games in Launchbox. Press play, retroarch launches and game works fine. At some point in time, I'll start up Launchbox one day and suddenly none of the Commodore 64 games will do anything when I press play. If I open Retroarch and play from there, they work fine. If I check the edit menu in Retorarch, it still shows it as the emulator. The other console system platform will launch retroarch and the games play fine. So if I delete Commodore 64 from Launchbox and import it again. It still wont work. The only way I can get it to work again is to uninstall Launchbox completely and start all over from scratch. Then every platform will run just fine until some random day later on, I'll launch it and at least 1 platform system will have it's entire library of roms not able to launch. So I don't know if somehow upgrading Launchbox causes some kind of issue or what. As a secondary issue I also have is that eventually some of my video's that were downloaded won't play in the default menu. It's almost as if Launchbox will just lose it's ability to link to files despite proper settings. I don't use any kind of themes. Last time I had this issue, it was the TG-16 roms not launching. Another time it was Sega CD. So it seems to be unable to link to retroarch to launch the game but yet all the settings are set up perfectly. Nothing changes except whenever I let Launchbox update itself. Any idea what might cause this, it's so annoying to spend hours redownloading all of my videos and artwork, etc. Not sure what to tell you, I have never had this happen to me in the 3-4 years I have been using Launchbox, nor have I seen anyone mention this happening to them. I would suggest though that if this happens again, instead of uninstalling and re-installing try selecting all the games in the platform causing issues and using the bulk edit tool to re-assing the emulator to the roms. I might try to make a video showing what it's doing. That is extremely strange, like I said, I have never seen that or seen anyone mention anything similar. Maybe you have an overly aggressive anti-virus or something but I am only guessing when I say that. I will tag @Jason Carr for him to have a look at this thread and maybe he has some more insight into what could cause this sort of problem. I bought Webroot about 4 months ago so only WIndows Defender has been the only consistent AV since I got into using LB with Retroarch. I figured this issue would go away after a few version updates but I think it's specifically related to how Launchbox handles retroarch to launch games. It's not like I really play all that often, I usually launch a few random games to play once in a while when in the mood. I have MAME for arcade games and never an issue launching that and before I started using Retroarch, I didn't have this issue. I even have the latest version of Retroarch and C64 games just stopped working recently under LB but again works fine in Retro directly. I didn't realize until I went to launch a game and the only thing that might have changed since my last play in C64 was Launchbox updating itself. Now one thing I have done that causes an issue with a few videos and box art loading properly is that whenever I reinstall Windows 10 using the refresh method, which I do on occasion just to keep it operating like new. I'll take the entire Launchbox folder and back it up to another drive and put it back after Windows is done. It works fine except that some videos won't load and some box art won't display until I go into the editor for each game that won't show video/art and make a change...any change like just deleting a word in the notes tab or reassigning where the files are located and then it'll work. Even though the link to the files still shows properly, just making any kind of change under that edit properties window seems to make it work again....it's weird but that one in particular seems to be related to moving LB folder back and forth even though I put it in the exact same file structure as before. But odd that many videos play fine but only some won't as a result of me doing that. It appears to me that LB can act as a portable application for the most part but maybe I shouldn't do it that way again. I went ahead and deleted LB and am going to start again for probably the 8th time since however many months ago this started. I'm going to uncheck updates this time and see if that helps. Again, I am only guessing here but I am gonna say there is some other underlying cause of the issue here and it's not Launchbox itself. Like I said before, I have never experienced this is in the 3-4 years of using LB and I have never seen any other users have this issue. Simply deleting and re-installing Lb without find the actual cause of the issue is just going to end up in the same result again for you. But that's now how things typically work with computers, just because you never experienced something before doesn't mean it doesn't exist. There are tons of software out there where only a minority people will experience a bug due to too many hardware and software configurations between many hardware manufactures, driver code, bios's, etc. I've experienced this on Lenovo Yoga Laptop with Windows 10 and now Dell XPS with Windows 10. There's really nothing special or unique on my system and as far as 3rd party software goes, aside from updated drivers, I have Firefox, Webroot, VLC player, LB, Retroarch, MAME and Adobe Elements installed. On my Lenovo, it had some Lenovo software, Opera browser, VLC and various emulators. So I'm game for any theory on what kind of underlying issue could exist between two different laptops that otherwise work great. I don't think being dismissive is very helpful at all. If you don't know that's fine but blaming me when I literally mentioned exactly what I do with it causes more frustration and more willingness to look elsewhere for a launcher. I can't help it that the only way to fix it is to reinstall it all over. So how is it that reassigning the emulator, seeing that it has the proper path multiple times over doesn't work but reinstall does and yet it's not an issue with Launchbox? Nothing else is interacting with it so how is that possible? I only open LB once in a while, Run it's updates if it asks and making no other changes only to find some random day that a specific platform suddenly won't launch Retroarch anymore. Don't take this the wrong way because you must understand how frustrating it is to have people dismiss you just because they don't have the issue but don't you think finding the cause is why I"m here asking? I went as detailed as I could be and as you can see, there is nothing else but LB that could cause it's own problem. Then it magically works with a new install, seems obvious there's some kind of bug or issue caused when updating. Maybe some corrupt piece of code that suddenly prevents it from linking with Retroarch....I don't know how it launches games, that's why I'm on here asking. *Edit: I just noticed the other issue I've had before regarding videos and some artwork/flyers not showing. I just did the reinstall. 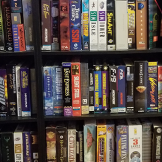 Imported MAME games and downloaded media. And none of the videos will play in LB. They games link directly to the .mp4 file, The game title screen displays but the video doesn't. I have it set to auto play videos. And to use the recommended VLC. ...so is this a VLC problem? a LB issue? Or am I to blame, what? The videos usually work fine and like my retroarch launching issue, they would randomly stop playing. This time it occurred right off the bad. I manually linked the video for a couple of games and the video is there, it plays fine in VLC....but it's not displaying. So I wonder if this inability to link to video despite it shows it is, happens to be a similar issue to why all the games for a specific platform suddenly won't launch when pressing play? I haven't been dismissive of you at all. If you want to provide more information such as screenshots of your emulators setup in Launchbox (if / when this issue occurs for you again) we will try and help you out. Screenshots of your edit emulator, edit platforms and associated platforms window would help out a lot, quite often when we dig into peoples setups we find a small but not so obvious error in the setup such as a path changed, platform name mismatch or the user changed the emulator and didn't transfer that change in Launchbox. Have you checked the quarantined/processed files and folders in webroot? Seems that after first run, the AV is placing some stuff in quarantine. Try adding the whole LB folder as well as the emus folders as exclusions. Also, @Xrc6 when the issue happens, instead of deleting everything and starting over, hop on the forums here so we can troubleshoot some things. It sounds like you've already started over again though, so not sure if we can troubleshoot stuff at this point. I do agree that it could likely be an anti-virus issue, but I'm not positive. One thing that might help explain what's going on is if you zip up and PM me your LaunchBox\Data folder. That might have some clues. If Retroarch isn't launching, my first hunch is to think that maybe Retroarch's configuration is somehow getting messed up (especially if it's happening after a refresh of Windows). Many emulators have different issues when launching games via the command-line (how LaunchBox launches games) than directly through the interface. So the next troubleshooting step would be to manually attempt to launch a game from the Retroarch command-line. That would narrow it down to either a LaunchBox issue or a Retroarch issue. The media thing sounds like a separate issue, which could be related to the Windows refresh. You can try refreshing your image cache. Per the videos though, maybe it's a driver issue? Let us know if and when you ever have these issues again, and we can troubleshoot further. If that was the case, then doesn't it seem likely that no other game for my other platforms would launch either? So since I use very few 3rd party apps that are popular, then that means one of those or the Windows 10 OS that many people also have, would have to wait a few weeks and at some random point, remove a file that only causes C64 games not to launch? Or in previous cases, cause TG 16 and Gameboy roms to not launch? However as I stated, this has happened several times since last year when I first posted the issue. I had a completely different laptop. Different drivers. An older version of Windows 10 than what I have now and only a limited few 3rd party apps that I mentioned previously. I didn't even have a 3rd party antivirus until recently. So the only application that can quarantine a file by default is Windows Defender. So if your Defender doesn't remove LB files then why would mine? HOwever it doesn't show anything ever being quarantined. If WD ever removes a file, a pop up box will display asking me what to do with the file. THis has never happened, I don't do too much with my laptop. It doesn't make sense for any software to wait a few weeks then remove a super specific file for a 3rd party program like Launchbox. But since I have the same OS and very popular 3rd party software that everyone else has, then I would not be the only one. Well right now after a new install of LB and just after importing arcade games, my videos will not play. However they will play if I use Big Box mode. But I don't prefer that mode. So here is a screenshot showing that my video's are properly linked and another shot that shows the video is not playing. I have the options set to VLC (also tried Windows media player but no luck) and set to auto play videos. So since this is my current annoying issue, we'll just start with that. I originally wanted to make a video showing me re-assigning Retroarch in the bulk editor and not launching but found I had no way to do that. So as you can see below, it's linked to video, but doesn't play. It's kinda similar to how C64 suddenly wouldn't play any of it's associated games. Whatever the source is, may be the same but there's nothing outside of LB that is interacting with it except me. Here you can see the screenshot shows, but no video like it usually does. It's linked directly to the file. setting. I already tried WMP but it didn't make it work either. But again plays fine in Big Box mode, so clearly this is an LB only issue. Also "autoplay videos" is set to on. iF you need any more pics, let me know. Do you have videos checked to show in the game details pane? Click on the Game Details option and make sure video is checked. Edited as I see you said you have auto play set. Do you have videos checked to show in the game details pane?